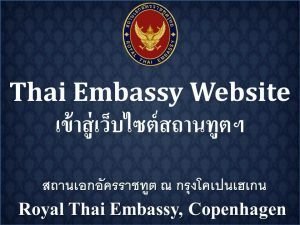 With tourist visa, travellers are strictly prohibited to conduct in all kinds of work including volunteer work and internship.When applying for a visa at the Royal Thai Embassy, it is required that the applicants use and submit an application form from the Royal Thai Embassy ONLY. 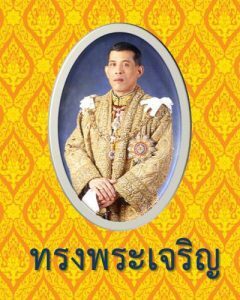 As of 13 November 2015 onwards, the Royal Thai Embassy will launch the “Multiple Entry Tourist Visa (METV)” scheme. The new METV is an addition to the existing single entry 60 (sixty) days tourist visa, where the double and triple entries tourist visa will not be issued by the Embassy after the aforementioned date. The single entry tourist visa has its validity of 3 months from the date of issue with the duration of 60 days stay permit. Travellers are allowed to apply for a thirty days extension of stay permit at the nearest Thai Immigration Office. If you are a non-Danish national residing in Denmark then you need a copy of the residence permit (opholdstilladelse) AND a copy of the yellow CPR card. The Multiple Entry Tourist Visa (METV) has a validity of 6 months from the date of issue and the duration of stay of up to 60 days per visit. You are advised to check the stamp of the immigration upon arrival. Copy of the bank statement with minimum balance of DKK 37,000 If using Online Bank Statement, it must show applicant’s name and balance. The single entry tourist visa has its validity of three months from the date of issue with the duration of sixty days stay permit. Travellers are allowed to apply for a thirty days extension of stay permit at the nearest Thai Immigration Office. The Multiple Entry Tourist Visa (METV) has a validity of six months from the date of issue and the duration of stay of up to sixty days per visit. You are advised to check the stamp of the immigration upon arrival. With tourist visa, travellers are strictly prohibited to conduct in all kinds of work including volunteer work and internship.